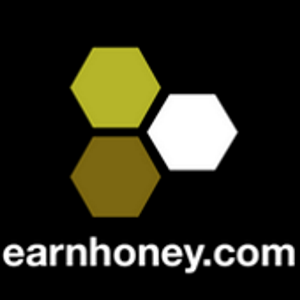 EarnHoney recognizes that some users would like to make a business out of referrals. We now offer a special program where you can earn an additional 1% to 5% (total of up to 15%!) of the lifetime earnings for anyone your refer. Special access to Brand Ambassador email groups to discuss new features and ways to improve EarnHoney. Unique registration codes and landing pages that help you convert your traffic. To qualify, EarnHoney users need to hit the minimum thresholds for both the number of new users and the HD$ earned by the entire group. Chris is an amateur blogger that writes about GPT sites. In April, his blog posts brought in 27 new users. His group (all the people he ever referred including himself) earned $3,100 in payouts in April. Since Chris's group earned 310,000 HD$ in April and had 27 new users, he would meet the qualifications for Noble tier and receive 13% of 310,000 HD$ or $403. Brand ambassadors are the face of EarnHoney, and is expected to uphold all the terms and conditions of EarnHoney. Violating T&C's will result in expulsion from the program.